Increase conversions and reduce cost per lead from Google Adwords, Bing ads, social media ads and more, with responsive landing pages. Direct integration with Facebook Lead Ads and Twitter Lead Gen Cards. Cut the hassle of downloading these leads from Facebook & Twitter. Capture all your online and offline website chat inquiries. Works seamlessly with Olark, Zopim and LiveChat. Capture and record all your inbound phone calls, missed calls and voicemail inquiries. Works seamlessly with Super Receptionist, Exotel, CallRail, RingCentral and more. Capture details and activities of all your e-commerce subscribers and customers in LeadSquared. 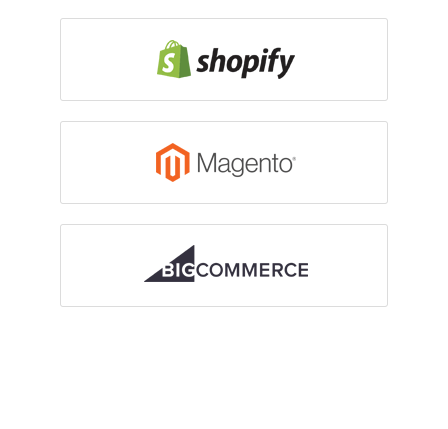 Seamless integration with Shopify, Magento and BigCommerce. Out of the box lead capture connectors for JustDial, AutoTrader, Shiksha, Sulekha, 99 Acres and more to ensure you never miss leads from any channel you invest in. Zapier integration to capture leads from all the marketing apps we don’t directly integrate with. Create Zaps for all the apps that are important to you. Capture leads directly from your WordPress website or blog in LeadSquared. Seamless integration with Contact Form 7 and Gravity Forms. Use high-converting landing pages, instead of plain GoToWebinar forms to capture webinar registrations. Pull webinar attendee information into LeadSquared with just one click.